It has taken the bold leadership and contribution of many people to form the global organisation Future Pipe Industries is today. Our Board of Directors have significant and various experience in different fields which benefit Future Pipe Industries. Mrs. May Makhzoumi is the President of the Makhzoumi Foundation, which was established in 1997 by Mr Fouad Makhzoumi, out of a strong desire to help empower fellow citizens to achieve self-dependence and improved career prospects. Under Mrs Makhzoumi’s Leadership, Makhzoumi Foundation developed departments, programs and units to address the needs of the Lebanese community and that of its residents. It does that through improving the socioeconomic status by offering loans, developing skills through informal and formal vocational trainings, providing services related to protection of vulnerable women and children while supplying core relief items to the most vulnerable communities, making good value healthcare available, preserving and raising awareness on agro-environmental issues, empowering youth potentials, and orienting them to achieve self-sustainability and independence. In addition to her role as the President of the Makhzoumi Foundation, May Makhzoumi also holds several administrative positions within Future Group and serves as a Member of the Board of Directors/Advisors of a number of Companies, Universities, NGOs and Associations. She has also participated in many conferences and took part in panel discussions and presentations, and won many awards in recognition of her Philanthropic achievements. 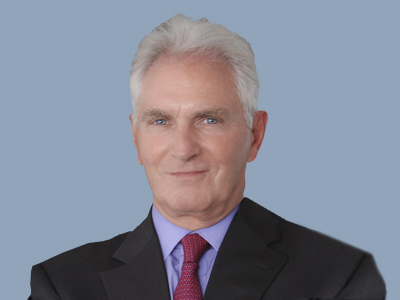 Dr Nasser H. Saidi is the founder and managing director of Nasser Saidi & Associates. He is Deputy Chairman of Eureeca Capital, a crowd-funding platform. 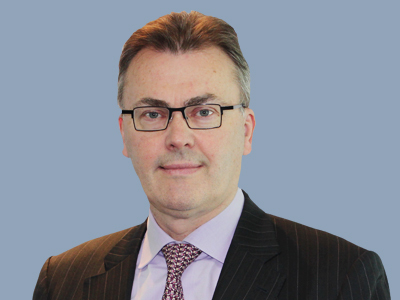 He is the former Chief Economist of the Dubai International Financial Centre (DIFC) from 2006 to September 2012, where he helped build the centre and developed the links with governments, central banks, international organisations and international financial centres. 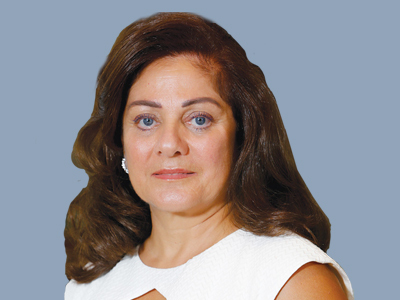 Dr Saidi is the founder and former Executive Director of the Hawkamah-Institute for Corporate Governance and the Mudara Institute of Directors. In 2012, he was named among the 50 most influential Arabs in the World by The Middle East magazine, for the fourth consecutive year. Dr Saidi was the Minister of Economy and Trade and Minister of Industry of Lebanon between 1998 and 2000. He was the First Vice-Governor of the Central Bank of Lebanon for two successive mandates, 1993-1998 and 1998-2003. He was a Member of the UN Committee for Development Policy (UNCDP) for two mandates over the period 2000-2006, a position to which he was appointed by former UN Secretary General Kofi Annan, in his personal capacity. 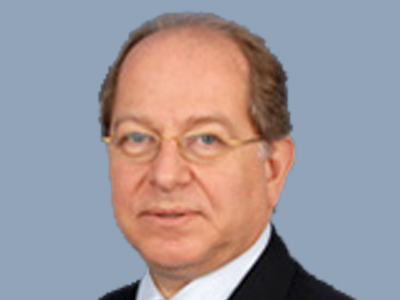 He the author of numerous articles and has written a number of books and publications addressing macroeconomic, capital market development and international economic issues in the MENA region, Lebanon, the GCC countries and is the author of “Corporate Governance in the MENA countries: Improving Transparency & Disclosure”. His research interests include macroeconomics, financial market development, payment systems and international economic policy, corporate governance, clean energy and information and communication technology (ICT). Dr Saidi was a private banker and served as an economic adviser and director to a number of central banks and financial institutions in Arab countries, Europe and Central and Latin America. Prior to his public career, Dr Nasser pursued a career as an academic, serving as a Professor of Economics at the Department of Economics in the University of Chicago, the Institut Universitaire de Hautes Etudes Internationales (Geneva, CH), and the Université de Genève. He also served as a lecturer at the American University of Beirut and the Université St. Joseph in Beirut. Mr Efthimios O. Vidalis holds a BA in Government from Harvard University and a MBA from the Harvard Graduate School of Business Administration. In 2012 he was mandated by the Greek Prime Minister to negotiate and lead the reset of the stalled motorways projects of Greece. He completed the restructuring of all concessions by year end 2013. This 8bil.€ investment completed in 2017 and had critical importance on the Greek economy, with the creation of 20,000 jobs and 1.2% cumulative impact on Greece’s GDP. Mr Vidalis was the CEO of S&B Industrial Minerals Group from 2001 until 2011 and COO from 1998 to 2001, where he served on the Board of Directors for 15 years. 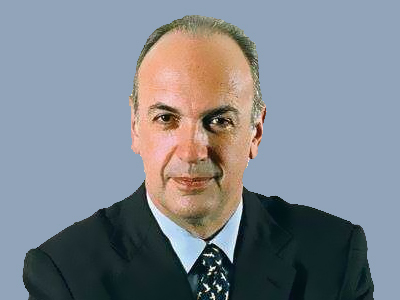 Earlier in his career, Mr Vidalis spent 20 years at Owens Corning, USA, he held several leadership positions including Vice President of the European Reinforcement business (1986 to 1993) and President, Composites and Insulation (1994 to 1998). He currently serves on the Board of Directors of Alpha Bank and TITAN CEMENT S.A. He is also a member of the Advisory Boards of “egg” (enter-grow-go), an initiative which aims to boost innovative entrepreneurship for young people in Greece, the MBA International Program of Athens University of Economics & Business, the Solidarity Now in Greece and ALBA Business School. From 2001 to 2016 he was an Advisor to the Management & shareholders and board member of RAYCAP S.A. In addition, he was a board member of the Hellenic Federation of Enterprises (SEV) from 2006 to 2016 and founder & Chairman of SEV Business Council for Sustainable Development from 2008 to 2016. 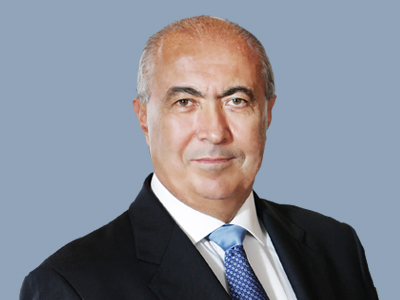 Mr Vidalis was Chairman of the Board of engineering company, ENOIA BV from 2011 until June 2013 and Chairman of the Greek Mining Enterprises Association (SME) from 2006 to 2009. Mr Vidalis was appointed as a Non-Executive Director of Future Pipe Industries in February 2008 and also sits on the Audit Committee. Mr Dowd is currently Chief of Staff for the office of Paul A. Volcker, Chairman of the President’s Economic Recovery Advisory Board, a position he assumed in early 2009. In this role he directly assists the Chairman with his duties running the Board, crafting and influencing financial regulatory reform, and advising the President, Treasury Department, and other senior government officials. Mr Dowd assists the Chairman on banking, investment, regulatory, and business issues. He worked very closely with the members and staffs of the Senate Banking Committee and House Financial Services Committee in Congress in drafting and advising on certain key parts of ‘Too Big To Fail’ legislation, as well the regulators in the rulemaking process. After the conclusion of the Recovery Board in early 2011, he assisted Chairman Volcker in advising certain European countries on banking matters and with the establishment of a New Institute of Public Administration. From 1992 to 2008, Mr Dowd founded and grew the private equity business at Charter Oak Partners, a thirty-four year old hedge fund group based in Westport, Connecticut. During his 16 years at Charter Oak, Mr Dowd and his team acquired 35 companies in the medical, consumer products, industrial products, food processing, and financial services industries. While there he led IPO, syndicated debt and bond offerings for the portfolio, and directed the establishment of joint ventures in China and India. 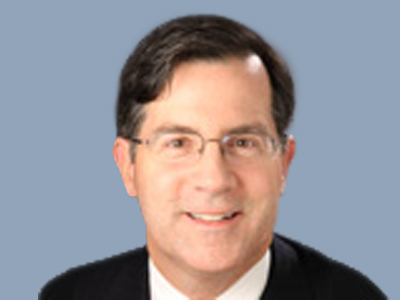 Mr Dowd served as CEO of Charter Oak’s medical components business for two years, as well as the lead director for many of their portfolio companies. He was responsible for, among other things, recruiting and developing the management teams at the various companies and organizing the Boards of Directors. In 2004, Mr Dowd was also named a General Partner in the hedge fund, where he assisted with fund operations and raising capital. Prior to joining Mr Volcker, he led the acquisition of two medical engineering companies and managed their successful merger and subsequent sale. Prior to his association with Charter Oak, Mr Dowd was a Senior Associate with James D. Wolfensohn, Inc., an investment banking firm that advised large international corporations on mergers and acquisitions. 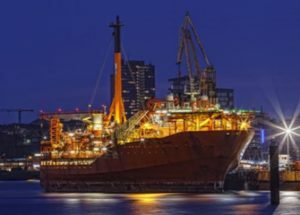 While there he assisted such companies as American Express, Hong Kong Bank, Westpac Bank, Cummins Engine, Daimler Benz, and Unisys with acquisitions and divestitures. From 1981 to 1986, Mr Dowd served on active duty as an officer in the United States Army. He served in the First Cavalry Division as a Tank Platoon Leader, Scout Platoon Leader, and Company Commander, and received several awards for meritorious service. Mr Dowd graduated with distinction from the United States Military Academy at West Point with a Bachelor of Science degree in Engineering. He received a Master of Business Administration degree from the Wharton School of the University of Pennsylvania. 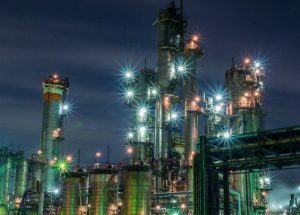 Mr Dowd currently serves on the Board of Directors for Future Pipe Industries, Ltd. (Dubai, UAE), Hostess Brands, Inc. (Irving, TX), and the Financial Accounting Standards Advisory Council (Norwalk, CT). He has served on the Boards of numerous other private and public companies. Mr Imad Makhzoumi completed his undergraduate studies in Civil Engineering and Water Resource Management at the University of Southern California in the United States and holds a diploma in Business from McGill University in Canada. 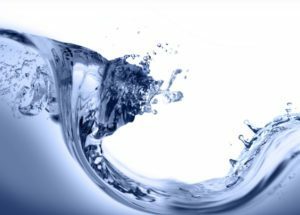 He is a member of the American Business Council in Dubai, a founding member of the Dubai Capital Club and he currently serves as President of the International Desalination Association (IDA). He is also a frequent speaker and panelist on a number of industry forums and conferences including WETEX, NACE and PMI. 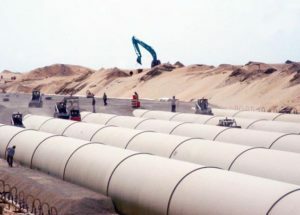 Earlier in his career, Mr Makhzoumi spent several years in the pipe business in the USA and Canada working through various disciplines, departments and ranks. Mr Makhzoumi joined Future Pipe Industries in 1989 as an Engineer. In 1994 he assumed the role of Vice President of Sales and Marketing for the UAE and in 2005 he became Regional Vice President of Sales and Marketing for the GCC and Asia. In 2006 he was appointed Senior Vice President for Group Sales and Marketing responsible for leading the global sales and marketing team. He assumed the role of Chief Operating Officer (COO) in 2009, responsible for directing all of the company’s operational and commercial activities. 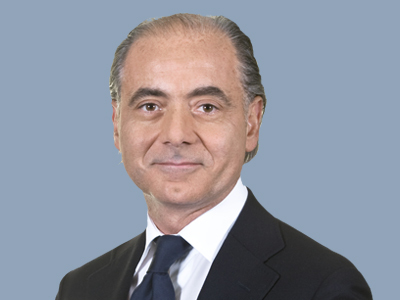 Mr Makhzoumi serves as a Non Executive Director on the Board. Dr Omar Ashur completed his undergraduate education in Physics at the American University of Beirut and also holds an MBA in Finance, an MA in Business Economics and a PhD in Business Economics from the Wharton School of Business at the University of Pennsylvania. 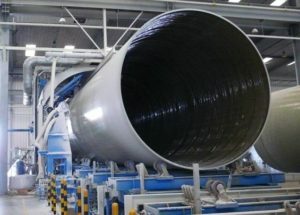 He joined Future Pipe Industries in 1995 as a Group Vice President of Finance and in 2000 he was appointed Executive Vice President of Gulf Eternit Industries. Following that, in 2003, Dr Ashur became the Chief Financial Officer (CFO) where he was responsible for leading and directing all of the Group’s financial activities. In 2009 he assumed the role of Chief Financial Officer of the Future Group Holdings. 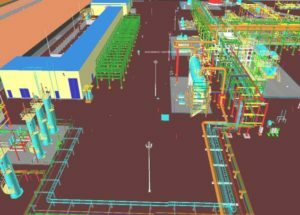 In January 2011 he reassumed his role as Chief Financial Officer at Future Pipe Industries Group, in addition to his Future Group role. 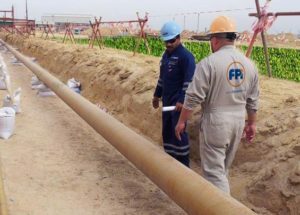 Prior to joining Future Pipe Industries, Dr Ashur held various leadership positions with Petrogas (UK) Limited, Anglokindom (UK) Limited, and Mediterranee Investors Group SA. Dr Omar Ashur serves on the Board of Future Pipe Industries Group as a Non-Executive Director.